As you age, you may experience changes to your vision such as the need for more light to read, increased glare, color shifts, and a reduction in tear production. Cataracts: Clouding in your eyes leads to blurred vision. 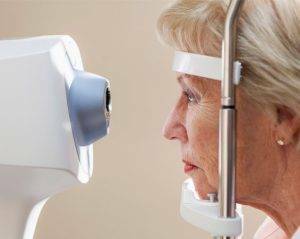 More than half of all Americans older than 65 have cataracts, but the surgery is one of the most common medical procedures in the world. Age-Related Macular Degeneration: This affects your central vision, including color and fine details. Symptoms include perceived distortion of straight lines. Glaucoma: Has potential to cause blindness if untreated. Caused by fluid pressure build-up in the eyes.